There’s a lighthouse in a distance view. That set’s on a hill that overlooks the sea. It shines a light so you might see. His light shines for me. He will safely lead me home. 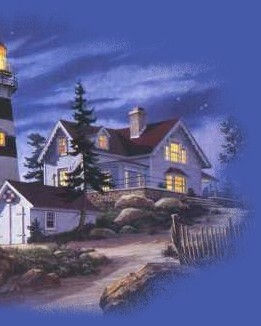 I thank God for my lighthouse! 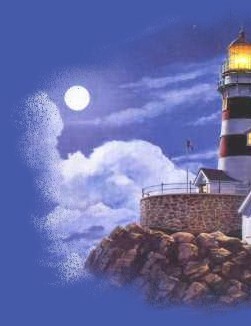 For Jesus is my lighthouse. He set me free, His light shines in me. If it wasn't for my lighthouse! Just where would I be? He shines His light around me. In Him I will forever be! Music: "Jesus Is The Lifeline"